Steve didn't have the weapons for this guy, but they include a dagger and a staff. This is a handpainted hardcopy figure. 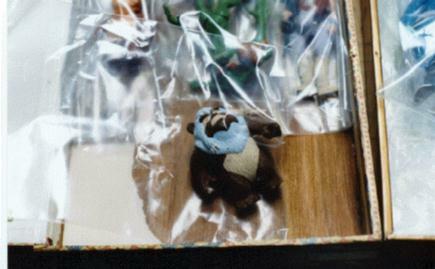 Like all hardcopies, the limbs are held on by pins and are removable. The character likeness is better seen in the original artwork for the card.